Cannabis use is common among postsecondary students. With increasing numbers of jurisdictions legalizing recreational cannabis for those who reach a legal age that is likely to occur during postsecondary years, it is important to identify effective ways to ameliorate cannabis-related problems in this group. 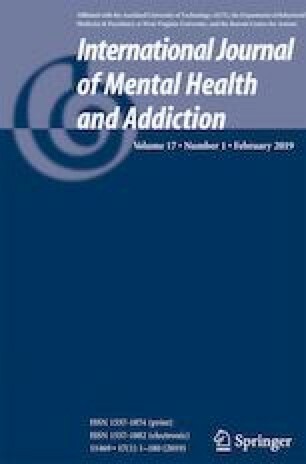 A systematic review of brief interventions (BI) for cannabis use and problems among postsecondary students was conducted. We included randomized trials of BIs involving postsecondary students between the ages of 18 and 25 years. Seven articles, representing five unique randomized trials from four electronic databases (MEDLINE, EMBASE, CINAHL, PsycINFO) were eligible for inclusion. The results provided only modest evidence for beneficial impact of these programs. Although success in reducing the frequency and quantity of cannabis use was observed over 30-day follow-up periods in some studies, no studies reported positive longer-term effects on cannabis use. Finally, several methodological concerns were noted, particularly unclear randomization and blinding processes. More research is needed to establish whether these interventions are effective in the postsecondary setting, and how they might best be implemented. Not applicable since the paper is not a research study, as it is a systematic review. Australian Government (2004). 6.1 Brief interventions—a definition. In: Department of Health Retrieved March 1, 2018, from. http://www.health.gov.au/internet/publications/publishing.nsf/Content/drugtreat-pubs-front9-fa-toc~drugtreat-pubs-front9-fa-secb~drugtreat-pubs-front9-fa-secb-6~drugtreat-pubs-front9-fa-secb-6-1. Boak, A., Hamilton, H. A., Adlaf, E. M., Mann, R. E. (2017). Drug use among Ontario students, 1977-2017: detailed findings from the Ontario student drug use and health survey (OSDUHS) (CAMH research document series no. 46). Toronto: Centre for Addiction and Mental Health. Retrieved February 20, 2018, from https://www.camh.ca/-/media/files/pdf%2D%2D-osduhs/drug-use-among-ontario-students-1977-2017%2D%2D-detailed-findings-from-the-osduhs.pdf?la=en&hash=2B434CDAAD485834497E3B43F2264BDEB255F29F. Government of Canada (2018). Cannabis in Canada: get the facts. Retrieved January 25, 2018, from https://www.canada.ca/en/services/health/campaigns/cannabis.html?utm_source=google&utm_medium=cpc_en&utm_content=misc_1&utm_campaign=cannabis-18. Henry-Edwards, S., Humeniuk, R., Ali, R., Monteiro, M., & Poznyak, V. (2005). Brief intervention for substance use: a manual for use in primary care. In: World Health Organization. Retrieved May 15, 2018, from http://www.who.int/substance_abuse/activities/en/Draft_Brief_Intervention_for_Substance_Use.pdf. Miller, W. R. (1983). Motivational interviewing with problem drinkers. Behavioural Psychotherapy, 11(2), 147–172. https://doi.org/10.1017/S0141347300006583. Scottish Intercollegiate Guidelines Network (2018). Methodology checklist 2: randomized controlled trials. Retrieved February 3, 2018, from https://www.sign.ac.uk/checklists-and-notes.html. United Nations Office on Drugs and Crime (2017). World drug report 2017 global overview of drug demand and supply: latest trends, cross-cutting issues. United Nations. Retrieved January 22, 2018, from https://www.unodc.org/wdr2017/field/Booklet_2_HEALTH.pdf.